For 10 cold, wintry weeks in 1931, Toronto’s garment workers took to the streets to push for better working conditions. Toronto writer Anne Dublin’s new book for young readers, 44 Hours or Strike!, is a fictionalized account of the strike that follows two young sisters as they navigate the picket line outside the factory where they work. Sixteen-year-old Rose and 14-year-old Sophie spend long hours bent over sewing machines under the watchful eye of the foreman to support themselves and their sick mother. 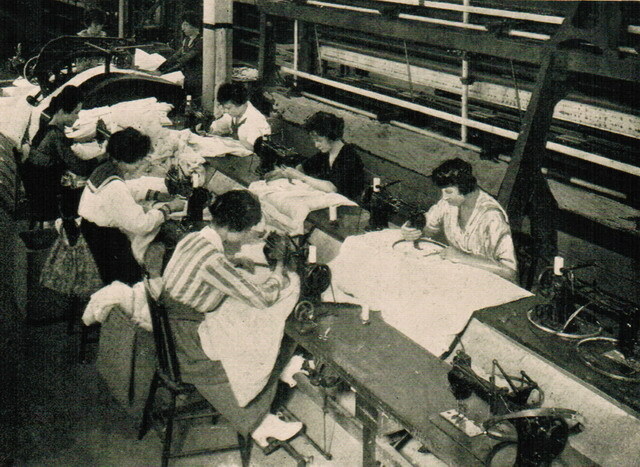 But their union, the Local 72 International Ladies Garment Workers Union, votes to strike in February 1931, to demand shorter work weeks (down to 44 hours, hence the book’s title), better factory conditions, and fair wages. As the strike drags on, the girls have to deal with police brutality, waning public attention to their cause, and prejudice. Dublin says she was inspired to write the book when she thought of her family’s history, the 2013 factory collapse in Bangladesh, and a factory fire in New York in 1911 she researched for a book review. “My father was a tailor, and we came to Canada in 1948, my parents were Holocaust survivors, and one of the reasons we were allowed to come to Canada was because my father was a tailor,” Dublin says. What followed were about six months of research in the Toronto Archives, the Archives of Ontario, and the Ontario Jewish Archives as Dublin gathered information about the strike and about life in 1930s Toronto. “I read old newspapers, and any journals and magazines I could find of that period,” she says. Archival photos are used throughout the book to give readers a sense of how Toronto would have looked when Rose and Sophie were on strike. Dublin tackles many issues in this book, including child labour, abuse in the prison system, anti-immigrant sentiment, and the difficulty of accessing healthcare pre-medicare. She says she wants kids to learn that they can make a difference, even if the problems seem too big to tackle. “The thing is, this strike was ultimately unsuccessful. … It was 10 weeks long, they ended up sort of getting contracts, but they weren’t really honoured, and they went back a lot to how the conditions that they had been in before,” she says. Dublin says this message is one of the reasons she writes. 44 Hours or Strike! will officially launch on Sunday, October 25, at the Steelworker’s Union Hall from 2:30 to 4 p.m. A choir will sing labour union songs.